The light penetrates deep into the dermis layer of the skin, repairing damaged cells, stimulating your own collagen and elastin and giving you back that youthful radiant look. 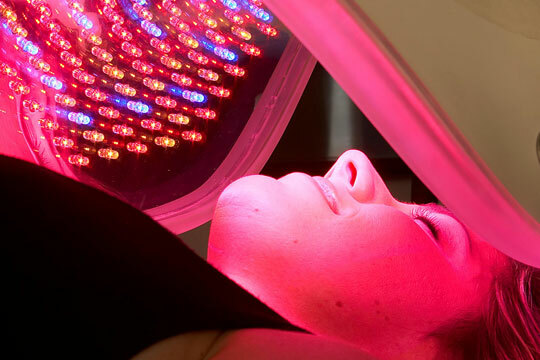 At Lorei Medical Spa we offer 4 different LED therapy lights, red, blue, green and yellow. Also we can customize the treatment with a combination of colors for your particular concerns. 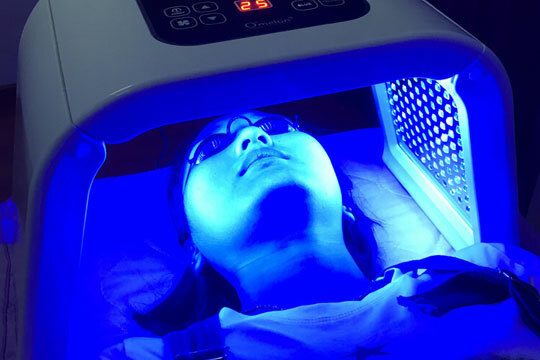 The red light’s wavelength is 630 nm, it has the characteristics of high purity, strong light source, energy density well-proportioned, has notable effects in skin care, health care and cure, named as biologic active light. The red light can enhance the cells activity, promotes cells metabolism, makes skin excretes large number of collagen protein and fiber tissue to fill on their own; accelerates blood circulation, increases skin elasticity and improves withered and yellow, dark condition skin. Then achieves the efficacy of anti-aging, anti-oxidation and repairing skin. Has a wavelength as 415nm, the blue light reduces inflammation, reduces acne by killing the bacteria with no injury to any adjacent tissue and decreases inflammation cause by acne.